Pianist Larry Brown leads one of the most accomplished straight-ahead jazz groups in the Mid-Atlantic area, having performed at An Die Musik, Blues Alley, the Meyerhoff, the Kennedy Center, the Mid-Atlantic Jazz Festival, East Coast Jazz Festival, Baltimore-Washington Jazz Fest, Alexandria Jazz Festival, Twins Jazz, Bohemian Caverns, the King Of France Tavern, Montpelier Arts Center, Chris� Caf�, the New Haven Lounge, Caton Castle, the Wine Cellar, Strathmore Mansion, and the Black Rock Center for the Arts. JazzReview.com describes The Larry Brown Quintet as "Straight-ahead jazz at its best, with a forthright approach to well chosen material, supported by first rate soloists and a rock-solid rhythm section." The group�s four CDs receive airplay all over the country, as well as in Brazil, Canada, Russia, and Japan. The band, which reprises the hard-bop style of the legendary Blue Note era, was recognized by the Washington Area Music Association (WAMA) as the Best Jazz Group for 2009. The group�s celebrated release, �Hard Bop Caf� was recognized by WAMA as the Best Jazz Recording for 2006 with a Wammie award. As an undergraduate at Towson University, Larry studied with Stan Kenton�s favorite arranger/composer, Hank Levy. He performed with and composed for the lauded Towson University Jazz Ensemble. With a Bachelors Degree in Music Theory Larry attended graduate school at Catholic University, where he received his Master of Music degree after studying Composition and Electronic Music with the legendary Emerson Myers. Recognized with Wammie Awards for Best Jazz Group for 2006, 2008, and again for 2009, Larry also received a Wammie for Best Jazz Recording in 2002 for his CD �The Long Goodbye�, recorded at National Public Radio, npr. Larry has appeared on the national jazz cable channel BET On Jazz show �Jazz Discovery� where he won in the instrumentalist category, and has appeared on their show �Jazz Scene� as a featured artist. Larry has also received several Wammie nominations for Best Jazz Instrumentalist, and Best Jazz Recording (�Peace�, �Dryden Street Sessions�). 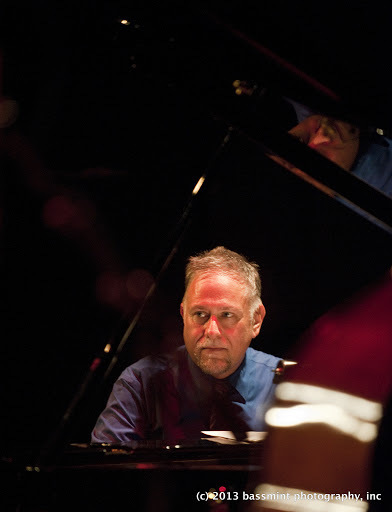 Washingtonian magazine says, �Larry Brown is a pianist whose rendering of ballads is particularly moving�. The Washington Post calls him �an artist deserving of greater exposure� and says Brown �evokes the master touch�. A post be-bop jazz pianist, Larry lists his major influences as Bill Evans, Wynton Kelly, and Miles Davis. The Larry Brown Quintet features Larry Brown on piano, Kent Miller on bass, Greg Holloway on drums, Thad Wilson on trumpet, and Peter Fraize on tenor sax. Larry records exclusively on Lush Life Records and his recordings are produced by Jerry O�Sullivan. Born October 17, 1956 in St. Louis Missouri, Kent�s parents appreciation for listening to all kinds of music was his first introduction to music. Around age eight Kent took piano lessons for a few years. However, he soon developed an interest in the guitar and soon began studying guitar. Around age twelve, Kent watched a televised program that featured Ray Brown as a soloist fronting a big band. This began a life long passion to learn the art playing the contrabass. Kent attended Rockhurst University in Kansas City, Mo. on a basketball scholarship, and graduated in 1979 with a Bachlor of Science degree in Business Administration. He also attended the University of Missouri at Kansas City (UMKC) Conservatory of Music and study music perfomance. Returning to St. Louis, Kent enrolled in the St. Louis Conservatory of Music for continued music studies. He began private bass studies with Warren Claunch of the St. Louis Symphony Orchestra. He was soon befriend by St. Louis jazz historian Richard R. Henderson. Kent became a private student of Wendell Marshall (former Duke Ellington bassist), later to become very good friends. Enrollment into the legendary George Hudson Big Band soon followed. Kent began working locally with fellow St. Louis musicians; Willie Akins, Eric Person, Charlie Fox, Freddie Washington, Greg Osby, Al St. James and many others. In 1984 Kent moved to New York and was recruited by legendary Vanguard recording artist trumpeter Dave Burns. 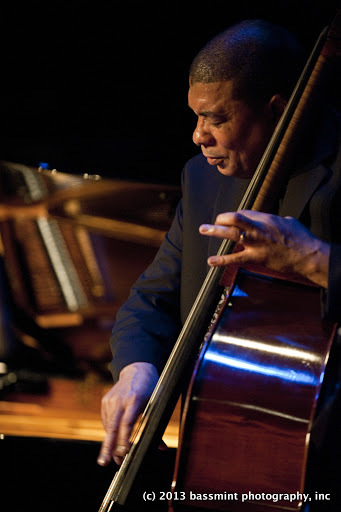 Kent continued his bass studies with bassist Rufus Ried and Ray Drummond. Kent joined the Brooklyn based Ray Abrams big band that led to many other music opportunities with such artist as: Carl Allen, Chico Hamilton, Percy Brice, Jimmy Lovelace, Clifford Barbareau, Lynn Arriale, Eddie Gladden, George Coleman Jr., (St. Louisians� John Hicks, Eric Person, Ronnie Burrage), Bill Saxton, Talieb Kibwe, James Wiedman and many others. In 1995 Kent relocated to the Washington DC area, where he resides today, playing with many local and national artists. Greg C. Holloway is a native of Washington, D.C. where he received an undergraduate degree in Music Education and Percussion Performance from Howard University (1980). He also participated in the Jazz Studies summer program at Eastman School of Music. 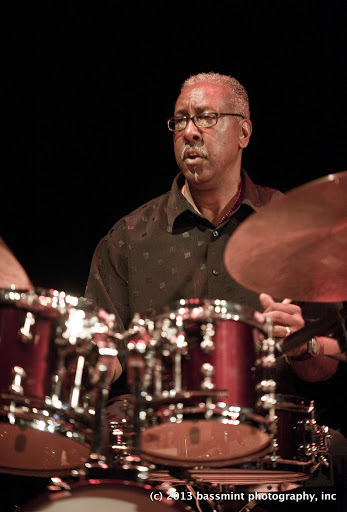 Greg later pursued Masters in Education with an emphasis in Jazz Drumming/Percussion Methodology and Masters in Science (Counseling Psychology) from University of LaVerne in Southern California. Greg has returned to the Metropolitan area after completing a career in various prestigious Air Force Field Bands. While in the Air Force, Greg advanced to percussion section leader, Musical Director and leader of Jazz Ensembles, Rock Bands and various trios. These groups have backed major performers that appeared on national television and radio shows. Before transitioning to the civilian sector, Greg was instrumental in developing the percussion-training standard for Air Force Field Band Percussion and produced the CD "Midnight Sun" which features Ellington alumnus Freda Payne. As a civilian, Greg has performed with Freda Payne, Carl Fontana, Rob McConnell, Chuck Israel, Jim Pugh, Gene Bertincinni, Maguire Sisters, Blackstone the Magician, Sheri Lewis, Bruce Conti, Rich Little. He has also played various shows in Palm Springs and served as Tympanist with the Anchorage Symphony 1995 season. His latest recording is "Full Circle" on G-Bop label. His professional endorsements include REMO drumheads, Istanbul Mehmets, and Vic Firth drumsticks and mallets. Greg is currently performing at various venues in the Metro area and is Director of Percussion at Flint High School. Greg also runs the "Pyramid Percussion Studio" for performance instruction. Saxophonist/composer Peter Fraize is a distinct voice in the Washington, DC jazz community. Born in Somerville, New Jersey, Peter attended the New England Conservatory of Music in Boston, studying classical saxophone performance with Ken Radnofsky and playing in the Conservatory Big Band under the direction of bassist Miroslav Vitous. In 1985 he traveled to The Netherlands to study with noted Dutch saxophonist Leo van Oostrom at the Royal Conservatory in The Hague, where he earned his Artist's Diploma in 1989. While in Holland he also studied with Ruud Brink, John Ruocco, and the late tenor legend Sal Nistico. He performed with a wide variety of bands including the avant-garde Waterland Ensemble, the Brazilian group Tanga, and his own quartet, appearing at such places as Amsterdam's Bimhuis, the North Sea Jazz festival, the Heineken and Gouda Jazz Festivals, and numerous other jazz venues throughout Holland, Belgium, and Germany. He was also an original member of the Dutch freebop quintet Scapes, first prize winners at the 1989 Middelzee Jazz Festival. Returning to the DC area in 1989, Peter founded the jazz/rock group Stickman, which released its eponymous CD in 1995. Stickman enjoyed a large local following and was featured on the main stage at Pittsburgh's Mellon Jazz Festival in 1997. In 1996 he formed the Peter Fraize Quintet, releasing the live recording You St. that same year on Union Records, an independent label he co-founded. You St. received critical acclaim in publications such as Jazz Times, Cadence, and the Washington Post. He followed up with Third Attention (1998), which showcased his working trio with whom he hosted weekly jam sessions at area nightclubs from 1994 to 2002. In 1999 he was awarded a Washington Area Music Award (Wammie) for best contemporary jazz group. Peter has twice collaborated with Italian avant-garde trombonist Giancarlo Schiaffini, documented on the CD releases Deconstruction (2000, Pentaflowers) and Post-Deconstruction (2002, Cadence Jazz Records). In the summer of 2008 he was invited to Lima, Peru to perform a series of concerts at the Jazz Zone and Satchmo clubs with some of that country's finest musicians. The results can be heard on the forthcoming Live In Lima (2009, Union Records). His current CD release is Organic Matter (2009, Union), a collection of eight of his original compositions featuring jazz organ master Greg Hatza. Over the years he has appeared in virtually all of the DC area's notable music venues including the One Step Down, Blues Alley, Twins, the Kennedy Center, Constitution Hall, the Birchmere, and the 9:30 Club. 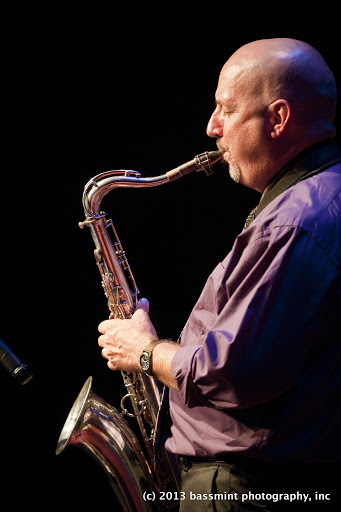 In addition to his varied performing and recording projects, Peter has been on faculty at the George Washington University since 1994, where he teaches saxophone, Jazz Performance Techniques and Jazz Theory. He also directs the Advanced Jazz Combo and co-leads the GWU Latin Band. Since 1998 he has served as Director of Jazz Studies. Peter lives in Washington, DC with his wife Jessica and their two sons Leo and Owen. Growing up in Montgomery, Alabama, Thad admired the pop music legends Earth, Wind & Fire, The Blackbyrds, Rufus & Chaka Khan, Ray Charles among others. After the sudden passing of his mother, Thad moved to Elizabeth, New Jersey to live with his father. It was there that he made a lifelong connection with jazz music. Thad went on to receive performance awards throughout high school and eventually majored in Music Education at New Jersey City University. There, he studied with Jimmy Owens, an alumnus of Dizzy Gillespie�s Big Band. Thad's playing began to grow in its influences to include Miles Davis, Clifford Brown, and Freddie Hubbard, among many greats. On a parallel track, his pen found inspiration in the great big band works of Duke Ellington. Always admiring of the colors and textures of Duke�s compositions, Mr. Wilson�s expansive sometimes seems to be of simile of that genre. These sounds are very reminiscent in his writings for the electric group, Kindred Soul; his 10 piece big band, The Thad Wilson Jazz Orchestra; and his newest endeavor, film scoring. After living and performing in New York City, Thad eventually moved to Washington DC., where he founded the Thad Wilson Jazz Orchestra, permanently housed at the world famous One Step Down, often considered one of the world�s top ten jazz venues. Thad conducted the Orchestra's rehearsals both at One Step Down and at the Levine School of Music, in northwest DC, where he held a residency. In 2007, Thad accepted a position in the Music Department at The George Washington University teaching trumpet. In 2008 Thad was selected as a finalist for the DC Mayor�s Arts Awards in the category of Excellence in Service to the Arts. He also appeared in Ella, a theatrical work based on the life of Ella Fitzgerald, playing the part of Donnie, traveling nationally with the production for the 2008-2009 season. His latest conceptual endeavor involves performing live, original soundtracks for classic films including Louis Malle's film noir, �Ascenseur pour l'�chafaud�, whose original soundtrack was scored by Miles Davis; Nosferatu, the original Dracula film; and Body and Soul, an Oscar Michaud masterpiece. In addition to his accomplishments as a leader, he�s spent significant time accompanying the likes of George Benson, Cecil Bridgewater, Roy Hargrove, among others. Thad chooses his words and notes carefully, giving each profound impact that is hard to find in today�s culture of excess. Whether in the classroom or on the bandstand, Thad is committed to leaving each student with something to �shed� on. He�s never short of inspiration and never fails to inspire.